Scotland vs Netherlands, Oman Quadrangular Series 2019 Dream 11 prediction: Scotland, Netherlands, Oman and Ireland are all set for the Oman Quadrangular Series 2019. Scotland vs Netherlands will be the first match of the tournament which will be played at the Al Amerat Cricket Ground in Oman. 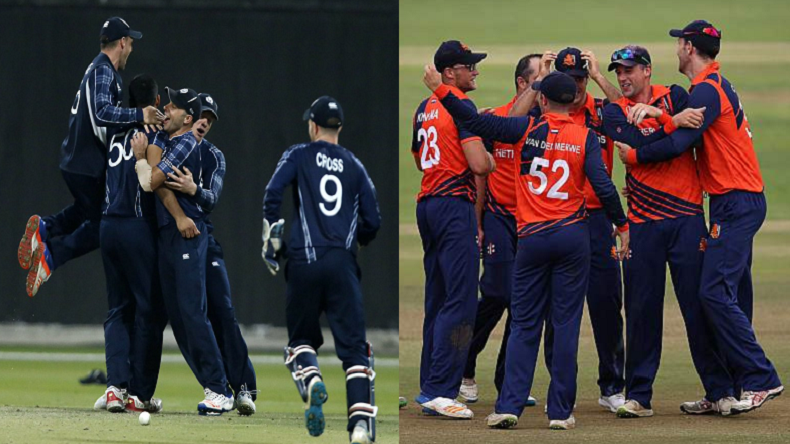 Scotland vs Netherlands, Oman Quadrangular Series 2019 Dream 11 prediction: The Scotland and Netherlands are all set to lock horns at Oman’s Al Amerat Cricket Ground. The curtain raiser match of the Oman quadrangular series 2019 will commence at 5:15 am. In the quadrangular series, Oman and Ireland are the other two contenders with Scotland and Netherlands. Both the teams would like to start the tournament with a thumping victory. On one side, the strong Scotland side would be eyeing to continue their dominance on the Netherlands side, as they haven’t faced any defeat against the Dutch side. While on the other side, Pieter Seelaar-led Netherlands side would be aiming to register a triumph and get the first points. Although they are the underdogs in the tournament, but they have nothing to lose and chance to beat a strong side. In the last encounter, Scotland had over classed Netherlands by a gigantic margin of 115 runs and on Wednesday the Dutch would be eyeing to avenge the humiliating defeat. For the Scottish side, skipper Kyle Coetzer, Richie Berrington, Matthew Cross, Alasdair Evans, Chris Greaves, and Calum MacLeod could be the run-getters for their side in Wednesday’s match. While the bowling responsibility would be on Safyaan Sharif, Ruaidhri Smith, Hamza Tahir, Craig Wallace, Mark Watt who can trouble Netherlands’ batsmen. For the Dutch, Pieter Seelaar would hold the command. Along with him, all eyes will be on Wesley Barresi, Ben Cooper and Ryan ten Doeschate who have the capability to hit the ball hard. While Roelof van der Merwe, Tobias Visee and Sikander Zulfiqar would be looking forward to bundle the opposition for a low total. Scotland squad: Kyle Coetzer(c), Richie Berrington, Matthew Cross, Alasdair Evans, Chris Greaves, Michael Leask, Calum MacLeod, George Munsey, Adrian Neill, Safyaan Sharif, Ruaidhri Smith, Hamza Tahir, Craig Wallace, Mark Watt.